A great mix for cosmos lovers, this mixture contains five different varieties of favorite cosmos for a true rainbow of summer blooms. 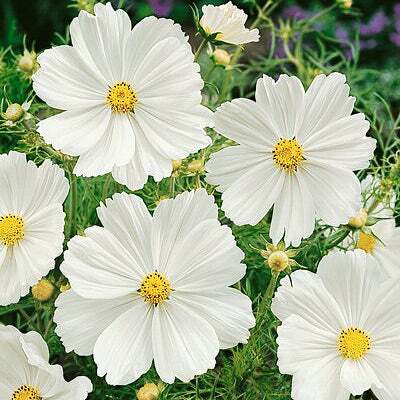 Like all cosmos, this mixture is extremely easy to grow and long-blooming, illuminating the garden or meadow from summer into fall. This non-stop color not only delights outdoors, but also provides endless cut flowers to enjoy indoors. 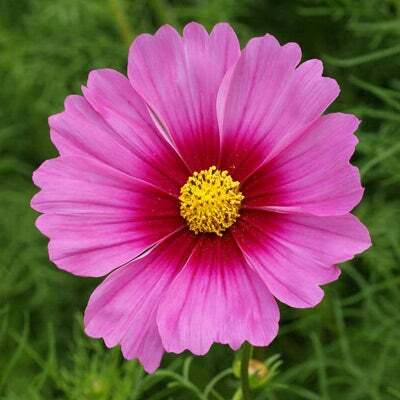 This cosmos mixture attracts pollinators to the garden and can be planted in larger containers. All of the seed we handle at American Meadows is non-GMO, neonicotinoid-free and guaranteed to grow. Annual. 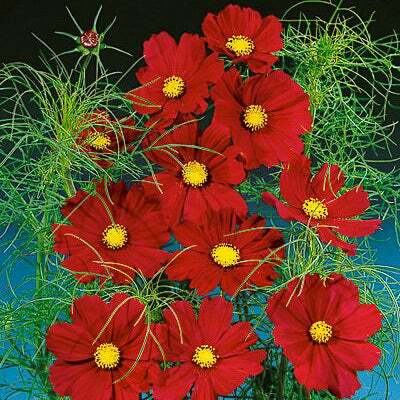 No flower is easier to grow from seed, and no flower lights up mid-summer and fall like cosmos. 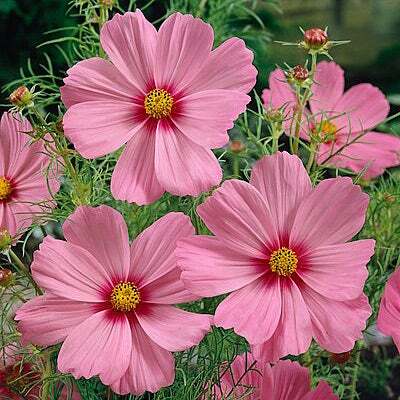 In fact, when all your other flowers are fading, your cosmos just keep on blooming, right up until frost. It means non-stop color in the garden, and non-stop flowers for cutting. 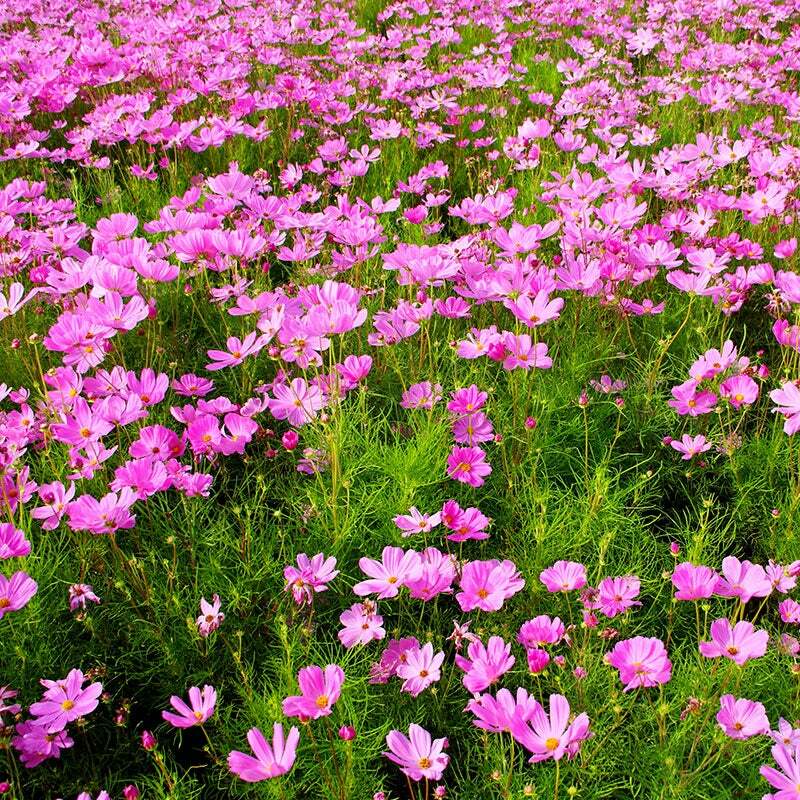 This new mixture gives you a never-before possibility of planting a patch or a whole acre of cosmos color that won't grow over 5 feet tall. And what colors you'll have! Everything from pure white to pure pink to pure red, plus the popular new bi-colors in between. Plant this mix, and stand back for a huge blaze of bloom! More about each cosmos: If you'd like more detail about all the cosmos included, click here to visit our cosmos listing page, and just scroll down to the cosmos. You'll find a full page of photos and info on each. 1/4 LB covers 500 sq ft.
1 LB covers 2,000 sq ft.